Home to unexplored – and always arresting – countryside, one of the best ways of exploring South America is through wild camping. 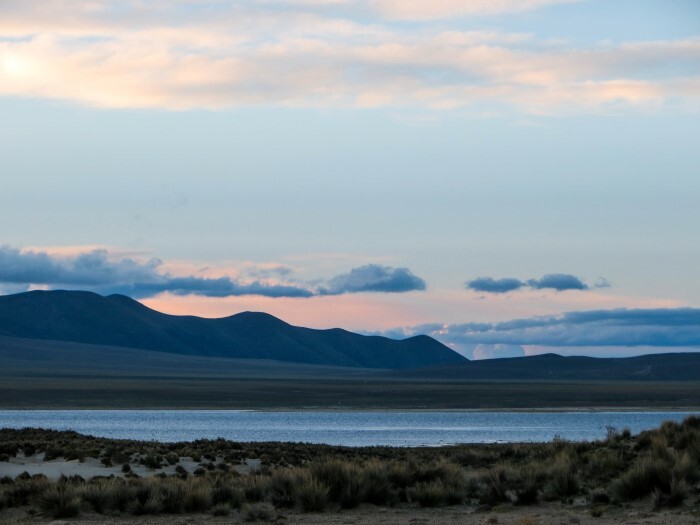 Whether you’re planning on hiking through the the chilly peaks of Patagonia or discovering the undulating hills of Bolivia’s more striking rock formations, this continent is a paradise for campers and outdoor lovers. Pack a tent, sleeping bag and some provisions for the journey and the most spectacular parts of this huge continent are at your disposal. 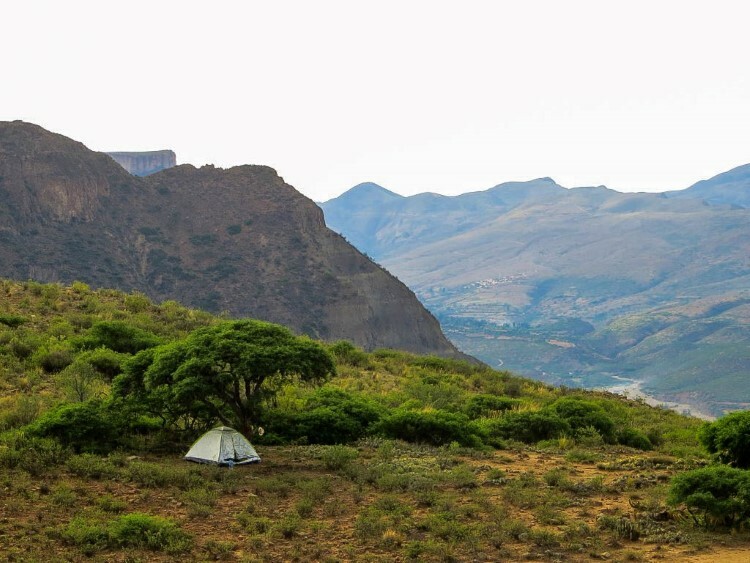 So here’s why wild camping in South America ought to be top of your travel itinerary. Taking a tour with an agency can be an excellent way of stumbling upon some of the globe’s most sensational countryside, but there’s no feeling quite like knowing that you’ve come across a part of the continent that few other tourists have yet to explore. 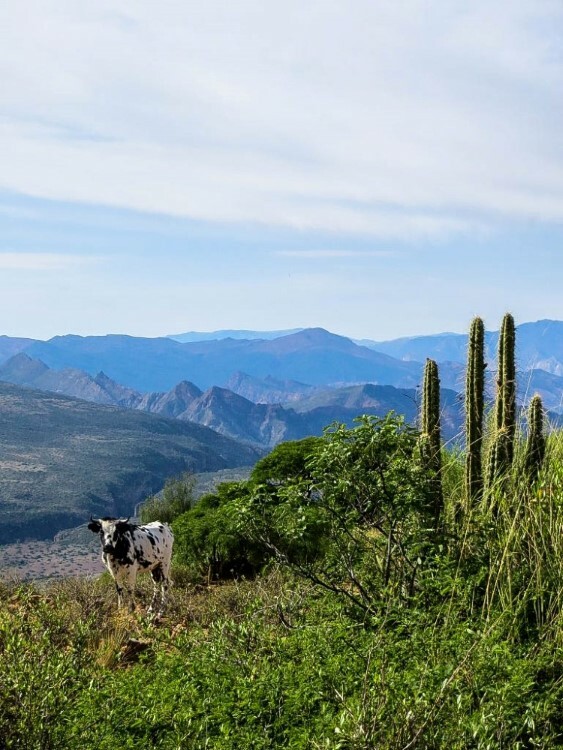 Finding a hidden gem in South America is never too difficult: just ask some locals for a recommendation of a place you can reach by local combi (minibus) or even on the back of a truck, and you’re guaranteed to fall upon somewhere delightful. 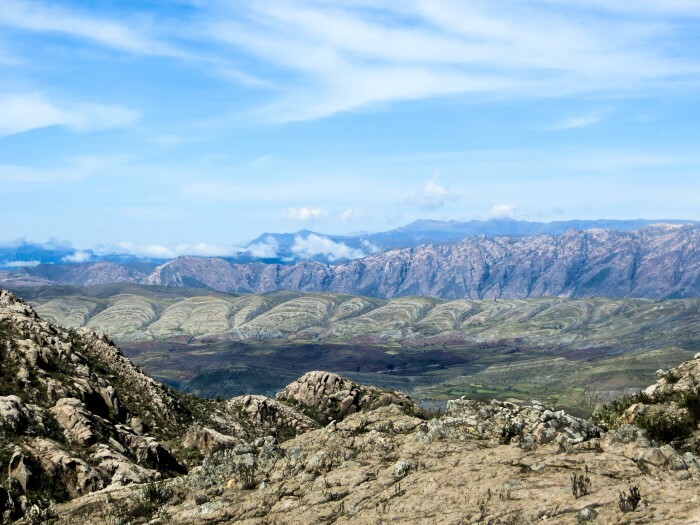 This list of adventurous activities you can experience from the Bolivian capital Sucre should also get you started. When you’re wild camping in South America, your choice of location is only dictated by the lie of the land and whether you have the energy left to hike that nearby hill and make the most of its panoramic views. But watching the sun set, beer in hand and with views across miles of unadulterated landscape or waking the next morning to watch hummingbirds flitting between the trees above will make the decision to hike until you found the most perfect spot all the more worthwhile. When I’ve been wild camping in South America, I’ve always managed to find camping spots with the most incredible vantage points: the edges of the Maragua Crater where I could appreciate the incredible stripes of coloured rock on the surrounding mountains; at the top of a hillside in another part of Bolivia, where the early light of dawn gave birth to views of rolling countryside and tiny communities far, far away; or along the Carretera Austral, deep in the heart of Chilean Patagonia. But it’s not just about the views; wild camping’s most spectacular feature is the silence. As something that comes at a real premium in any urban space in South America, pitching up far from civilisation always leaves you wishing you could remain there forever. And what I love most about wild camping in South America is that there are few rules about where you can and can’t do it. That said, although it’s unlikely you’ll come across many people when walking, it’s always advisable to ensure you make yourself known to someone local if you’re likely to be camping anywhere near their land. 3. Experience the stars, oh the stars! One of my favourite parts of wild camping is the proximity you have with the stars. Sleeping beneath a canopy of lights so individually distinct that you can see the arch of the Milky Way is a way of reminding yourself how tiny you are in the scale of the universe; a sobering but awe-inspiring thought. 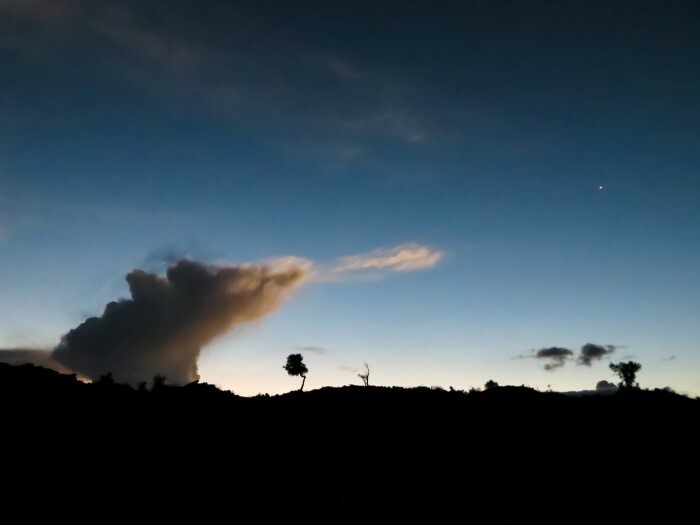 Camping in the Reserva Biológica Cordillera de Sama near Tarija, Bolivia, my brother and I were treated to the most incredible skyscape thanks to our 3,400m altitude and the fact that we were miles from civilisation. At night in Torres del Paine National Park, when the clouds finally cleared, we were struck dumb by the sky above. And although I had the fortune to take one of the best stargazing tours in the Atacama Desert in Chile (considered one of the optimum places on earth for seeing the night sky), I wish we had wild camped somewhere far from the town to really appreciate the stars. During my travels, I’ve met so few backpackers who have wild camped in South America. But when I’ve suggested escaping into the country for a few days, some have been daunted by the need to carry a heavy rucksack, but most have jumped at the chance of exploring South America by this means. Yes a tent, sleeping bag and stove (if you’re less inclined to face the issue of finding wood to build a fire) are bulky and will take up a good deal of your rucksack that could otherwise serve for travelling comforts. But the sheer fact that at every point in your travels you are armed, snail-like, with a house presents unrivalled possibilities. I’ve personally found how necessary having a backup home has been on occasion. When I’ve hitchhiked in different South American countries, being armed with a good-quality, lightweight backpacking tent has made me able to fully embrace and feel prepared for the unexpected, knowing that I have the resources to ensure that the unknown can, and will happen. So are you ready to pitch up? Wild camping in South America is an unbeatable experience. Embrace nature at its finest by packing that backpacking tent and heading off into the countryside. Want to discover walking routes in South America? Check out my itineraries for discovering the most stunning, unexplored locations in this continent. If you found this article inspiring, PIN IT! Great article, we are heading north from patagonia and tempted to pack a tent after our exploits down here. Hi Steven, you definitely should! You do have to be a lot more adventurous when it comes to finding places to camp when you get into Peru and Bolivia but it’s completely worth it. Good luck with your adventures! Hi Tash, I’ve not actually had a car when camping before but I agree it’s a lot easier with one! Public transport is generally good, but I found in places such as Bolivia and more rural Peru, you might have to hitchhike on the back of a truck or wait for the local bus to arrive (if it indeed does). In Argentina and Chile I would recommend hiring a car for at least part of it (check out my articles about the Carretera Austral) but you can still find places to wild camp on hikes in other countries too. I think public transport just requires a lot of patience and some basic Spanish. Good luck! Great article thank You! Thoughts on how a tree-tent would go down in South America? Good question! I guess it could be quite useful in the Amazon. I had a few friends who travelled in the Amazon and just used to hang their hammock up for sleeping at night so I guess it would serve a similar purpose (and protect you even more from the many creepy crawlies that might come at you in the night!). Other than that, you’ll struggle with one in the Andes as there aren’t that many trees to hang it from! Sounds amazing though – let me know if you do use one! do you reckon – is it still worth to carry lightweight camping gear? would it be possible to camp near hostels and pay for pitching the tent, thus paying less then renting a room? is wild camping illegal – or, even if, is it possible to camp not far away from towns/ busy places in a half-hidden-spot? Hi Nina! Wow that sounds like such an adventure for you and your 4yo!! That’s a really good question and not the easiest one to answer! To be honest, Peru doesn’t have that much infrastructure when it comes to campsites, although I think they are starting to establish more. Accommodation is very cheap already in Peru and camping is unlikely to save you very much money. However, if you do plan on going to smaller towns/villages that are slightly away from the cities then you might find some campsites and can likely pitch up just outside of town (although it’s worth asking whether it’s ok – so make sure you have a little bit of Spanish so you can ask). For example, we camped in the Paracas National Reserve (it’s basically a load of sand and it felt like what I can only imagine it’s like to camp on the moon!) which I don’t actually think we were supposed to but it was absolutely beautiful. Basically, there will be opportunities to camp but unlike neighbouring Chile where you could probably camp in most places that you visit (particularly in the south) you might end up feeling like you haven’t used your gear as much as you hoped. I also don’t know if you’re planning on going with a partner or friend, but it’s probably not the best idea to camp just yourself and your child – Peru isn’t unsafe per se but I wouldn’t personally camp alone. Let me know if you have any more questions and have an incredible trip! These insights are amazing thank you so much. I have a few questions only a well seasoned camper could answer. My, sister friend and I (18-23 years old) have planned a trip to South America Feb-May 2018. We are planning on doing as many hikes as our bodies will take (we have all hiked and camped before for unto a week at a time at home in the Blue Mountains Australia but are not hiking fit (yet). Our main worry is not the fitness its how safe we will be being three non-spanish speaking women. We were hoping to do the highlight hikes of Peru, Bolivia and Patagonia over our three months. So firstly, do you think its safe and secondly where would you definitely recommend for the time of year that we are travelling? Hi Rhiannon, Sorry it’s taken me a few days to get back to you! You trip sounds amazing and good on you all for planning on doing so much hiking! Ok, in terms of safety, Patagonia is the safest part of Latin America. Camping there will be no issue at all, particularly wild camping, although it’s worth making sure that if you do see anyone when you’re pitching up that you just check it’s ok (something along the lines of “no hay problema acampar aca?”). In Bolivia, we also wild camped in lots of places but people can be a lot less friendly and not impressed if you do camp on their land. In terms of hiking, the trails are often very difficult to find in Bolivia so it’s worth doing some research and sticking to the best-known trails (check out this article I wrote for another site with examples: http://southamericabackpacker.com/4-adventurous-bolivian-treks/). In Peru, over the past year there have been a number of backpackers who’ve going missing hiking in the mountains; the main issue is that they’ve gone alone and potentially had an accident a long the way. In terms of safety as women, there are some parts of Peru that are known to be dangerous so it’s worthwhile listening to what you’re told by other travellers and chatting to locals on the ground, where you should generally find at least someone who speaks English. With your time frames, you need to head directly to Patagonia as it’ll start getting cold April/May time. I would recommend the O Circuit in Torres del Paine and also the treks in Parque Nacional Cerro Castillo, Parque Patagonia and Parque Pumalin along the Carretera Austral (the latter two have websites with loads of information, the former is a bit lesser-known). In Peru, Choquequirao (the alternative Inca ruins) is definitely worth visiting, particularly as they’re going to install a cable car which is going to destroy the tranquility of the place. I’ve heard Huarez is one of the best spots for hiking too, although I’ve not yet been. I hope that helps and let me know if you have any more questions! Great article–thank you! Question: Do you recommend tent camping in central and northern Chile and Argentina? I know the camping in southern Chile (Patagonia) is supposed to be phenomenal, but unfortunately, I won’t be able to make it there this time. I’ll be in Chile and Argentina in January and February, so I think the weather should be pretty conducive for camping (although I know the countries are so vast, they have different climates in different regions). Like you, I’ll be taking public transit around (and maybe hitchhiking some, like I did in New Zealand a year ago), so I was wondering if you thought it’d be worth it to backpack my tent, sleeping bag and sleeping pad around those aforementioned areas, or if you think I should stick to hostels since I won’t be heading down to Patagonia–where the “best” camping is? Also, did you guys leave your tents up in the same places for multiple days, and then do little day hikes and whatnot in the area? If so, did you feel like your tent and sleeping bag were “safe”? Hi Brittany, the problem with the far north of Chile is that it’s mostly desert and I can’t recall having seen any campsites in the far north, although I know you can camp in greener places further south, such as Pisco Elqui near La Serena and in the Pan de Azucar park north of Coquimbo (it’s seriously beautiful there). I really don’t know about the north of Argentina but I imagine it’s somewhat similar. I probably wouldn’t leave everything in my tent when wild camping (mainly as I’m normally carrying around a computer) and I really don’t know how safe most things would be. Chile is, on the whole, a very safe country but in the north where it’s less common to camp I don’t know how safe your things would be. In central Chile, there are lots of places to camp as there are a lot more official campsites (so your stuff will be safe) and I would definitely recommend you taking your tent for there. Parque Nacional Malalcahuello-Nalcas, Parque Nacional Conguillio and Parque Nacional Huerquehue are really beautiful and better if you can camp there and enjoy the park for a few days. I hope that helps! 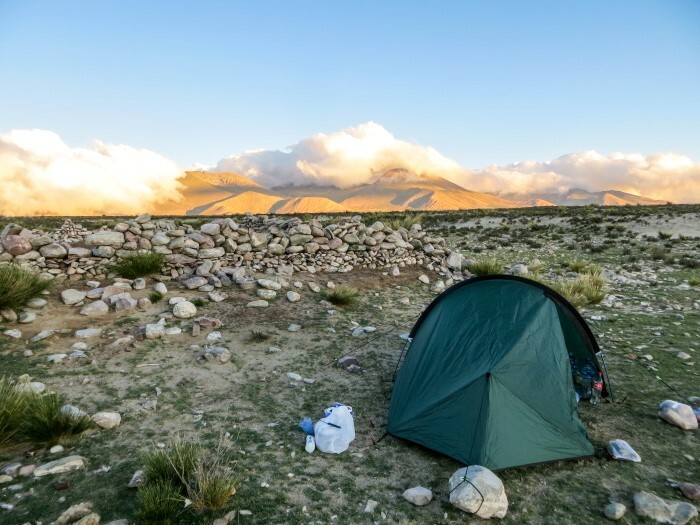 Hello, about what they say: in the Pan de Azúcar National Park, about 30 kilometers north of Chañatal, Atacama, there are camping options, well equipped and safe. One of them is Camping Los Yecos, which the owners care for, very friendly and entertaining. The sites have direct access to Playa Los Piqueros, a beautiful beach, lonely and clear waters and sands. The price per person per night is about 11 usd, and the sites are covered, have a dining table in the shade for about six people and a grill for charcoal or firewood. Absolutely recommended. You should consider Huigra in Ecuador, it is an amazing place in the middle of the Andean mountains with a wonderful view of the historical Chanchan’s river canyon. How is it to cycle and free camp in South America. I want to do it by trike from Argentina to Vancouver and further if possible. I want to limit the time I spend in formal accomodation to once or twice a week and only, if I can find a camping ground with showers or a clean water source like a lake I would prefer that. Is that being too optimistic?